For many women, the bodily changes of pregnancy and birth can cause an feeling of unfamiliarity with their bodies. Especially when it comes to your pelvic floor muscles, pregnancy and birth can cause immense stress that can cause painful bodily disruptions. Because of the pelvic floor’s susceptibility to impairment during pregnancy and birth, many experts recommend that new and expectant mothers incorporate pelvic floor physiotherapy as apart of their prenatal and postpartum recovery toolbox. Keep reading below to learn more about how a pelvic floor health assessment and physiotherapy can assist in pregnancy care and recovery. For many new and expectant mothers, the emphasis on pelvic floor may feel confusing since many people do not even fully understand the function or importance of the pelvic floor. In short, the pelvic floor comprises the muscles between the pubic bone and the tailbone – this is the base of our core and aids the body in stabilizing the body from the inside out. Assist in blood flow between your upper and lower body by acting like a “Sump pump”. During and after pregnancy, it’s important that you have a full understanding of your health and how your individual body works in order to repair health issues and prevent further complications. Pregnancy and birth put immense strain on pelvic floor muscles. Due to the weight of a growing baby and hormonal changes during pregnancy, the pelvic support softens to prepare for birth. However, these changes also leave pelvic floor more vulnerable to dysfunction. While these issues are common, they are not normal and should be treated with the same care and concern as non-pregnancy related issues and injuries. Unfortunately, many people tend to accept these as inevitable consequences of becoming a mother and do not receive and understanding of their body’s changes and how to treatment. And, without an awareness of their pelvic floor, it’s possible that a new mother will engage in activities that put her at greater risk of developing or worsening complications. By helping to identify the body’s current capabilities, teaching strategies that promote full-body and pelvic floor health, and implementing targeted and generalized exercises, pelvic floor physiotherapists help mothers during and after pregnancy to create a self-care regimen and support them through the initial postpartum recovery and beyond. Pelvic floor physiotherapists work to empower new and expecting mothers to learn more about their body and equip them with the tools they need to recovery fully and healthily. For new and expectant mothers, empowering and understanding support is crucial to postpartum recovery. 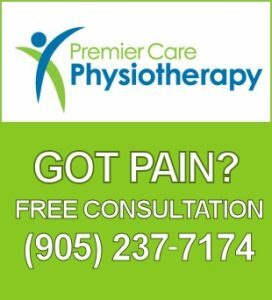 Get in touch with our team in Richmond Hill to learn more about prenatal and postpartum physiotherapy and to book an appointment today.